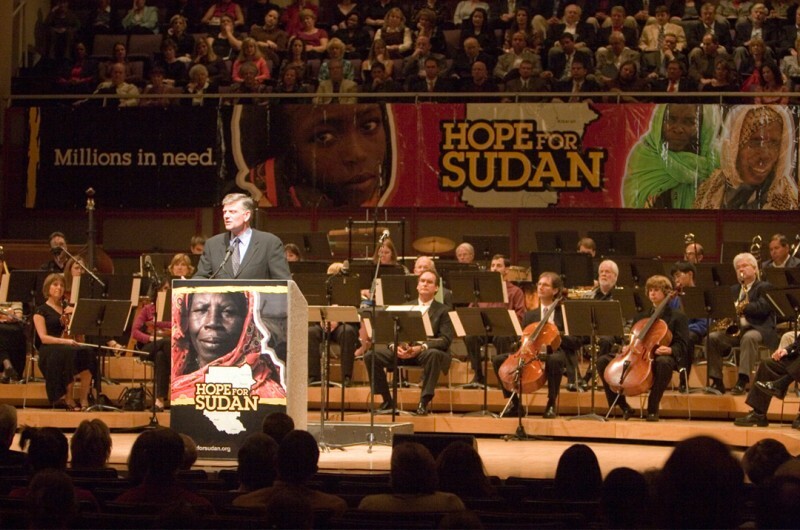 Hope for Sudan fund raising event headlined by Franklin Graham at the Progress Energy Center in Raleigh, NC. Graphic design pieces include branding, promotional banners, large format backdrops, programs, print ads, staff lanyards, custom pens and website promotion. As many as 2.5 million died—many from starvation and drought—during two long periods of civil war, from 1955 to 1972 and from 1983 to 2005. Civilians were often caught in the crossfire between the army, controlled by the Arab, Islamic government in Khartoum, and the rebel Sudan People’s Liberation Army. Food was scarce. Most of it was shipped from Khartoum in the north, sometimes by air but also at times by ship—which took so long that it was rotting by the time it reached the people in the south. The northern military often targeted churches—hundreds of them were bombed. 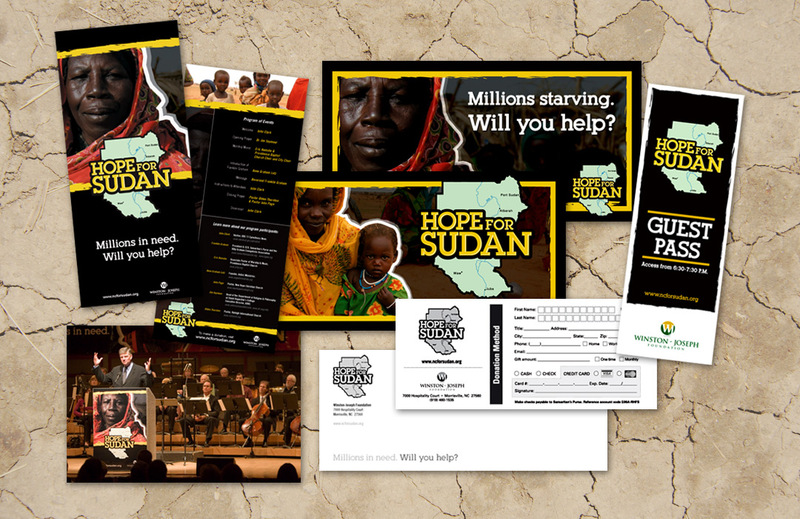 During those desperate years, Franklin Graham began ministering to Sudan. Since 1997, Samaritan’s Purse has provided food, shelter, clean water, agricultural assistance, education, medical aid and vocational training programs. Three times, Franklin met with Sudanese President Omar Al-Bashir, encouraging him to stop the fighting and to grant equal rights to minorities, including Christians.